VICTORIA – An audit of the British Columbia Timber Sales (BCTS) program and timber sale licensees near Powell River found timber harvesting and forest road work met all legislative requirements, according to a report released today. “These operators are carrying out forest practices as the public expects them to, by following the Forest and Range Practices Act,” said board chair Bruce Fraser. The audit opinion is based on examining more than 30 cutblocks, over 300 kilometres of roads, 89 bridges and operational planning carried out by BCTS and timber sale licence-holders in the Sunshine Coast Forest District. The audit report also identifies one area of improvement and notes two good practices carried out by BCTS. 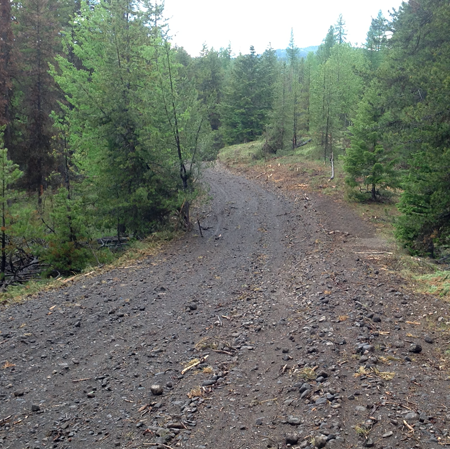 BCTS had identified deficiencies on two forest service roads before it took over responsibility for the roads. The deficiencies were located close to important fisheries values, but BCTS did no maintenance because negotiations to secure access through adjacent private property failed. BCTS has since worked out a road access agreement and plans to do the needed maintenance. The audit report also commends BCTS for good work inventorying a red-listed trailing raspberry for the BC Conservation Data Centre, and for limiting, or compensating for, damage to fish and fish habitat when transferring logs into the ocean at two log dumps.